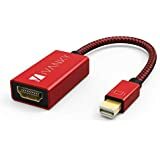 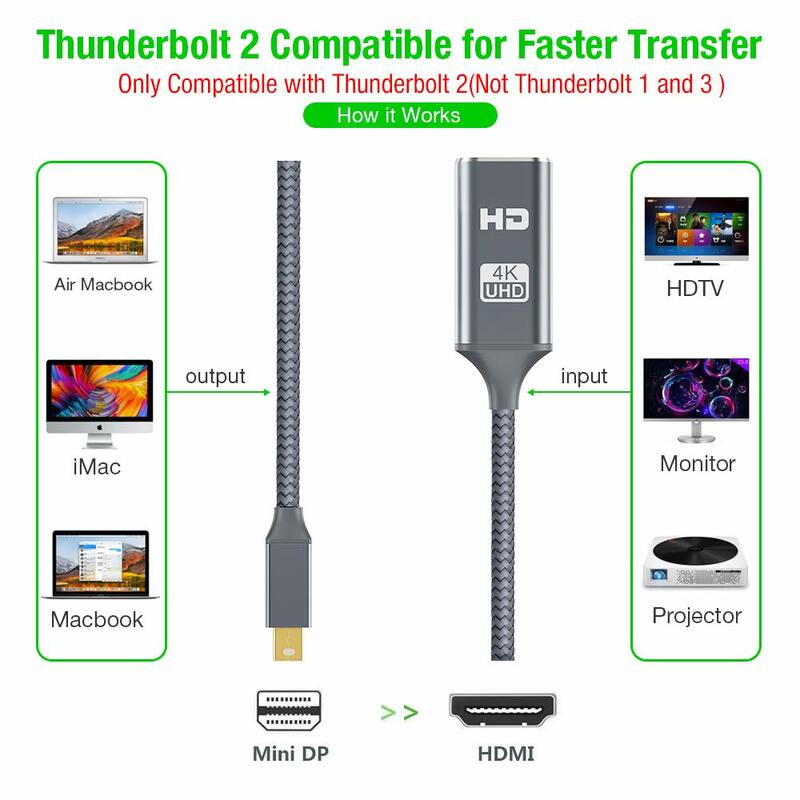 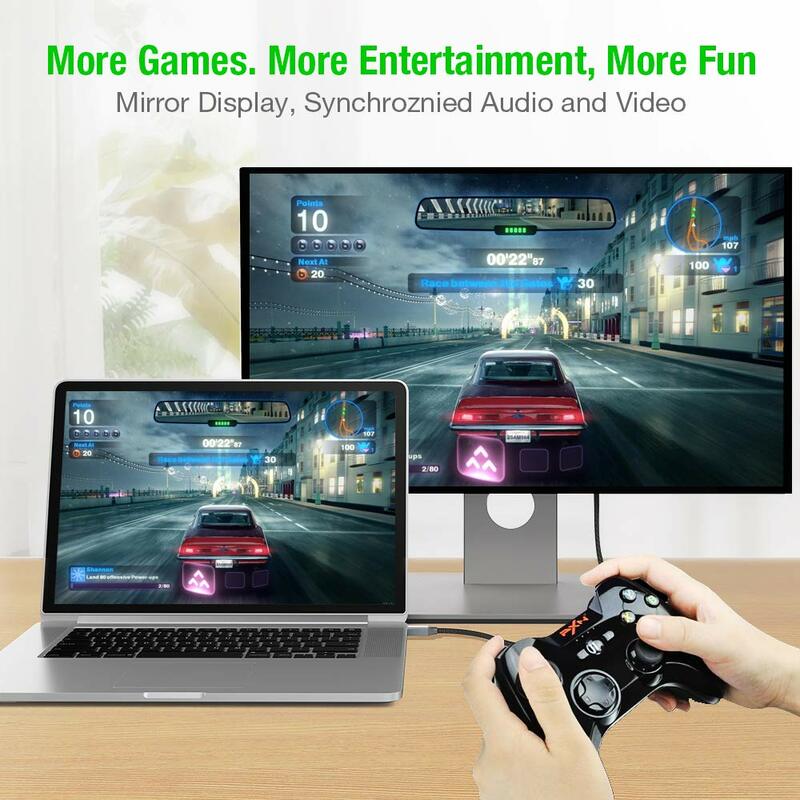 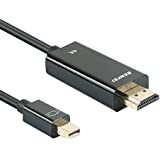 • [Outstanding Transmission]: Mini DisplayPort (Mini DP)/Thunderbolt 2 (NOT Thunderbolt1, 3) to HDMI Adapter transmits both audio and video over one cable; supports video resolutions up to 4K (UHD) at 30Hz,1440p (QHD) and 1080p (HD). 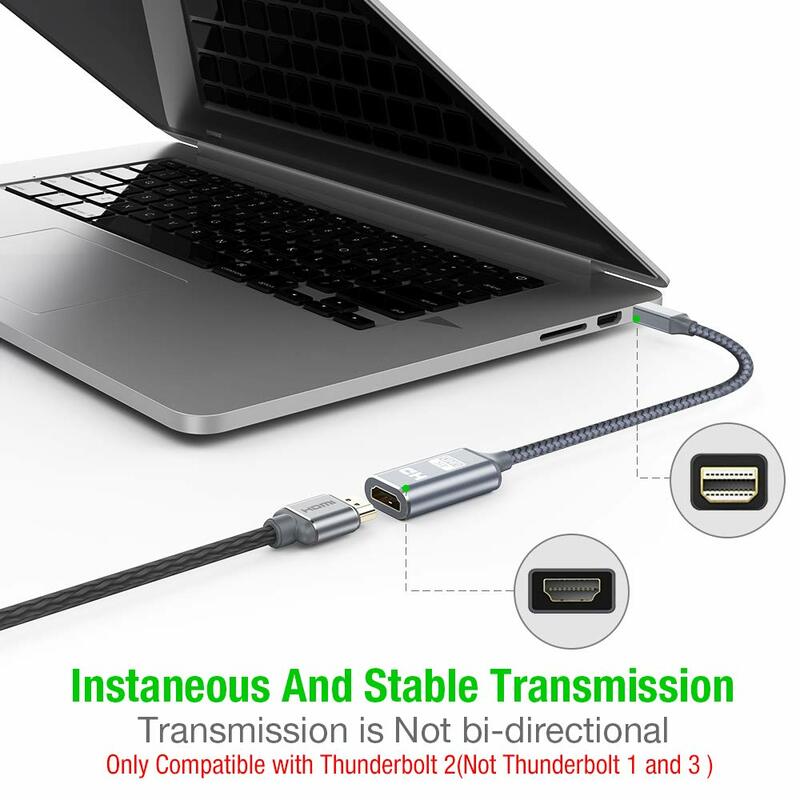 • [Sleek Design]: Compact, lightweight and aesthetically pleasing design. 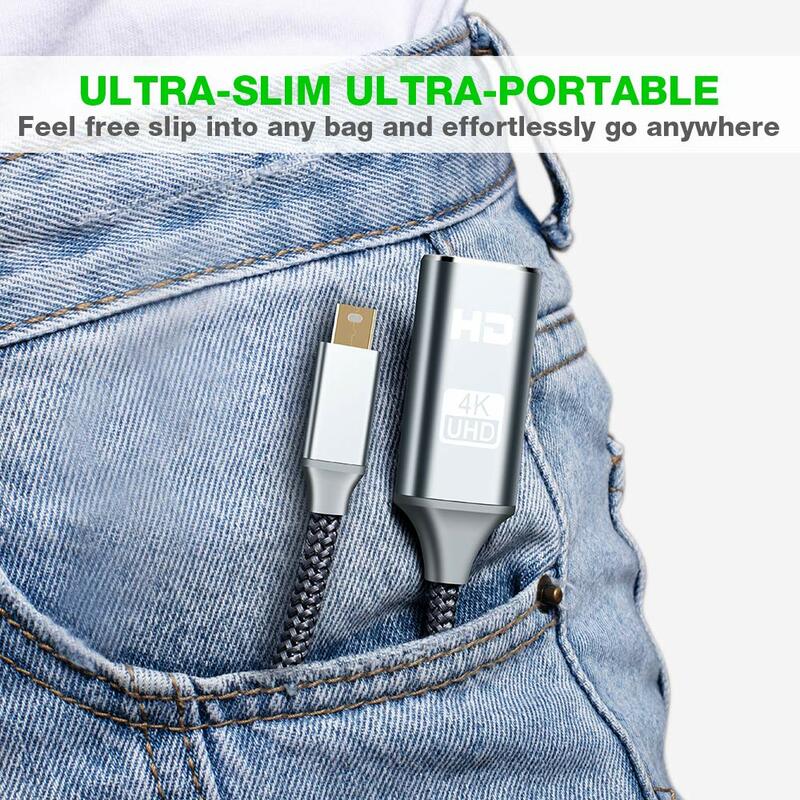 With aluminum alloy shell and unibody structure, it’s a long-lasting portable Mini Displayport to HDMI Adapter.Take it with you anywhere you go. 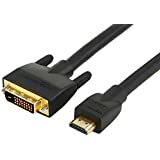 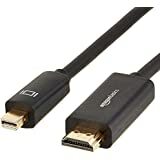 • [Gold Plated Connectors]: High quality gold-plated connectors for optimal signal transfer and corrosion resistant; It does not work with Surface/Surface 2 for Windows RT. 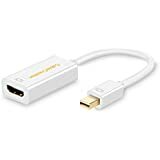 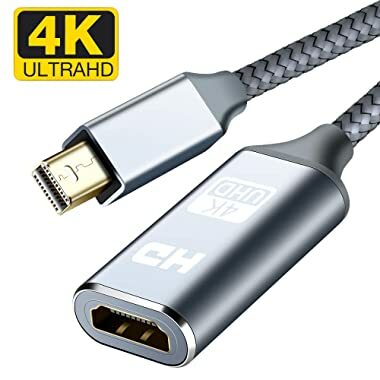 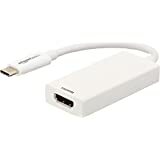 • ★★★★★[Lifetime Warranty]: Choose our Capshi Mini DisplayPort (DP, DP++, DisplayPort++)to HDMI Adapter, enjoy unconditional Lifetime Warranty and 24/7 customer service. 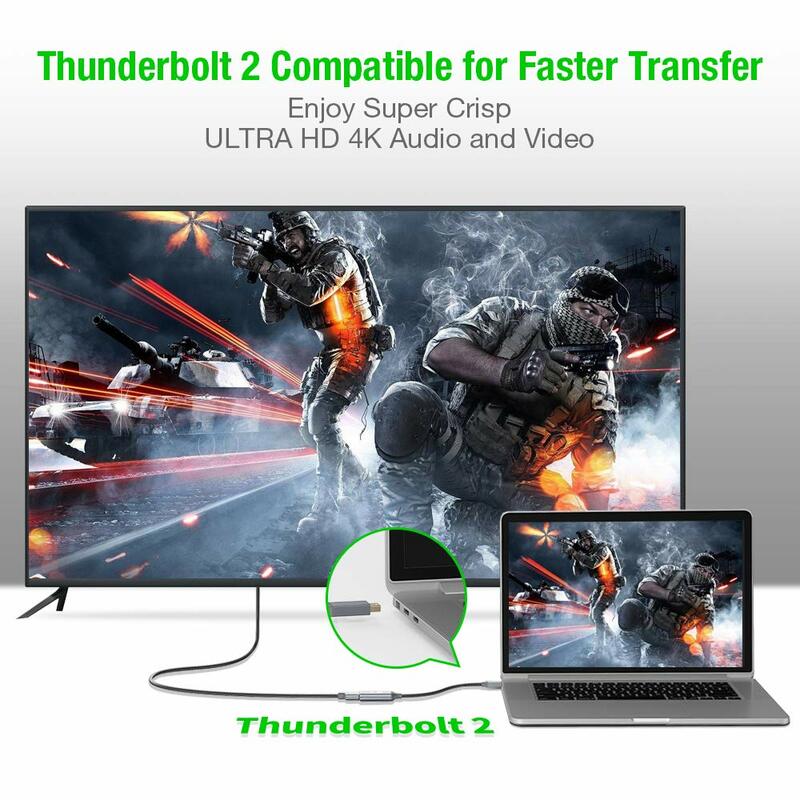 If you meet any question, please contact us, we will fix your issue within 24 hours.